Experience the raw luxury and privacy of the Longhouse; its generous space and secluded yet central Pokolbin location make this retreat the ultimate escape. The Longhouse is styled on a traditional Australian Woolshed. Cladding timbers come from a 130 year old woolshed in WA. 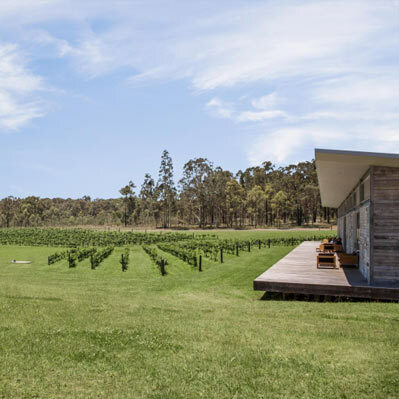 The Longhouse is set amongst Chardonnay grapes on a private 25 acre vineyard.